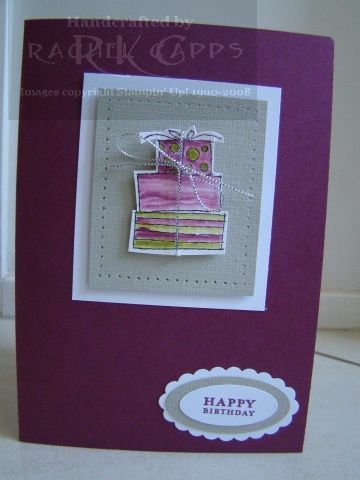 This is a card I made for an embossing class the other week. 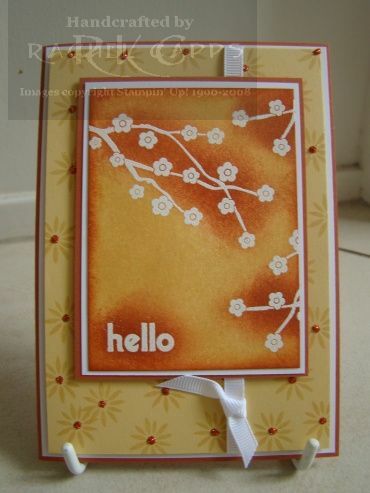 We used the stamp sets Eastern Blooms and Whimsical Words (and a few other stamp sets – I’ll show you soon). The colours we used are Really Rust, So Saffron and Whisper White. 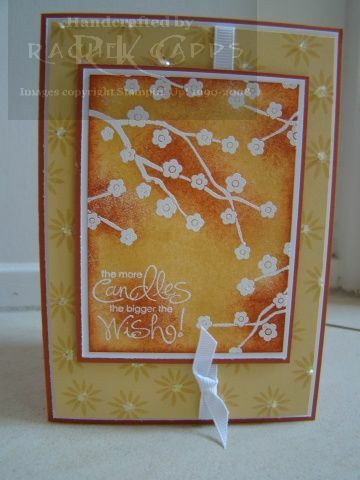 We dabbed a touch of Tombow glue at the centre of each flower in the background and then sprinkled Chunky glitter. Love the bling! 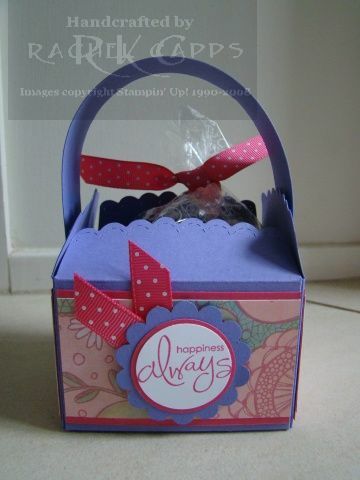 I also love the sponged effect around the white embossed flowers, don’t you? I love this card. 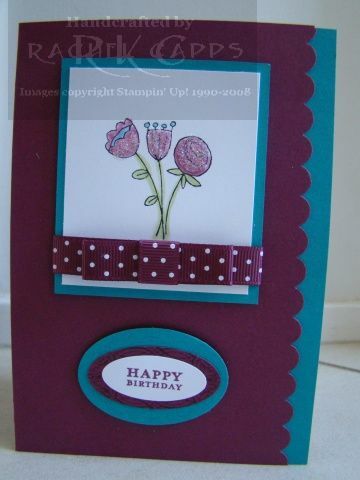 The colours really grab me – Rich Razzleberry and Taken with Teal. 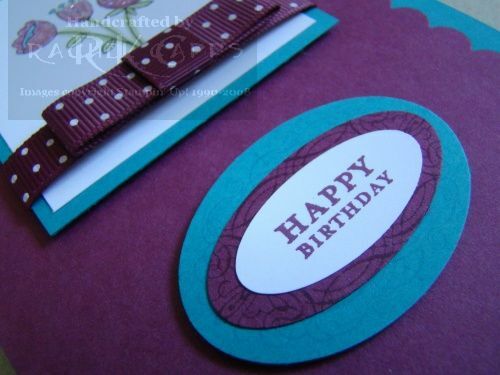 I’ve used the Scallop Edge punch along the right edge of the card and layered it with Taken with Teal cardstock to give the edge definition. I stamped the flowers from the Sale-a-bration stamp set, Happy Moments, in Staz On ink and then coloured in using my blender pens and ink pads. The flower stems are coloured with Certainly Celery. 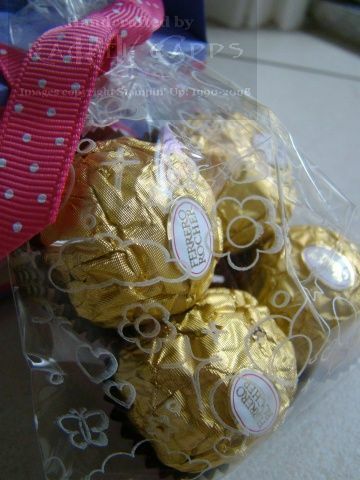 Don’t you love the bow? 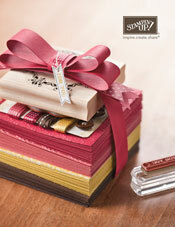 The new Rich Razzleberry grosgrain ribbon is simply YUM! lol! This would be a great make-and-take card for a workshop! 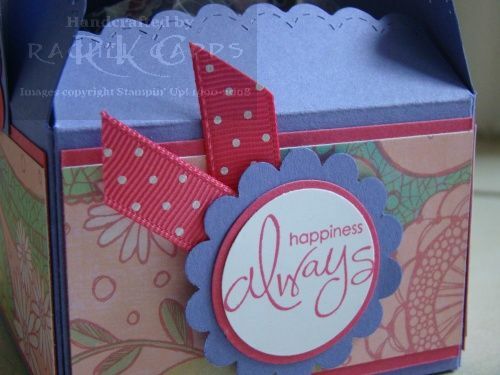 I love the Sale-a-bration stamp set, Happy Moments! It is such a versatile stamp set – it’s a MUST HAVE! lol! And how yummy is the upcoming new colour Rich Razzleberry with Sahara Sand? I love these colours together. 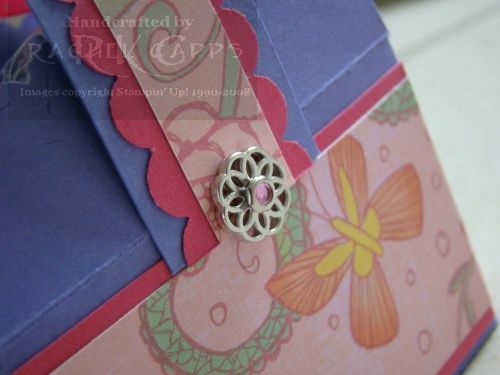 I was inspired to make this card after seeing this gorgeous card on Splitcoaststampers here. I stamped the present in Staz On black ink and then coloured it in with my blender pens using the Rich Razzleberry ink pad and my Old Olive ink pad. I think the textured Sahara Sand and paper piercing makes a great background for the present. The silver cord I’ve tied around the present is retired SU cord. 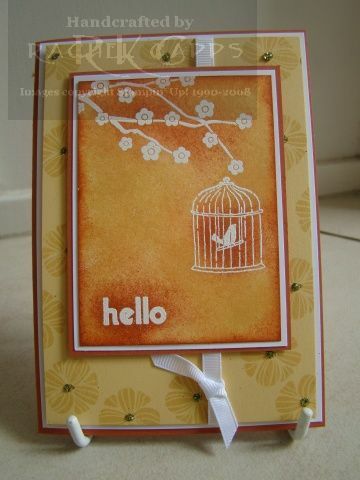 The sentiment is from another super Sale-a-bration stamp set – Vintage Labels. Have you got all the Sale-a-bration stamp sets yet? 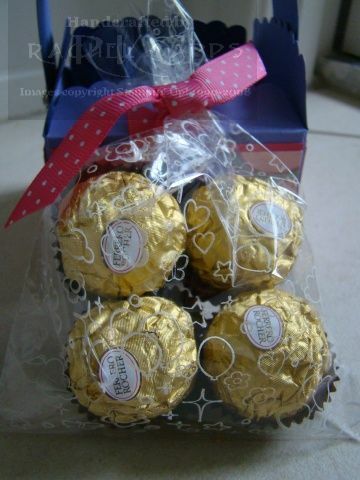 Do you want Happy Moments? Email me today with your order over $100 and you can have Happy Moments for FREE. Hurry though, Sale-a-bration ends on 31 March 2010. 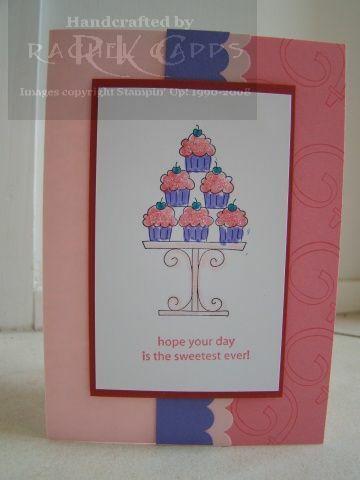 This is another great idea for a simple birthday card for a stamp-a-stack, using the stamp set Crazy for Cupcakes. I love this colour combo – I’ve used it before! These colours are yummy together – Pink Pirouette, Riding Hood Red, Regal Rose and Lovely Lilac. We stamped the cupcake stand in Staz On Black and then coloured it in using marker pens and/or blender pens and ink pads. A touch of Dazzling Diamonds finishes off the card. 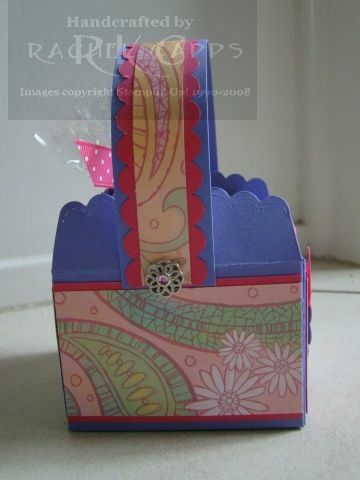 This is one of the cards we made at a stamp-a-stack last week. 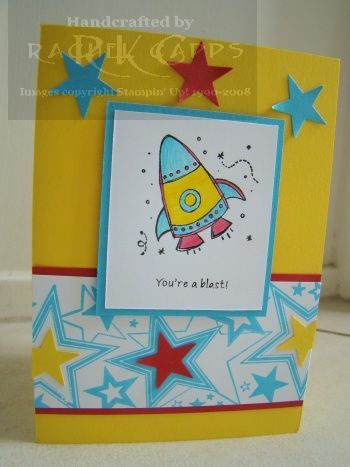 I was inspired by another great card on Splitcoaststampers here. What a great boy’s card! The rocket ship from Pun Fun and the Classic Stars jumbo wheel really go well together, I think. Boys, rockets and stars – can’t go wrong, really! lol!